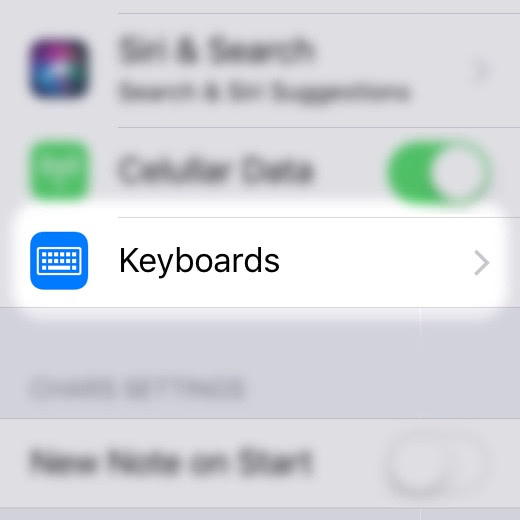 How to enable Chars Keyboard? Why some symbols are missing in Chars Keyboard? The latest version of Unicode contains about 128,000 characters. We selected the most useful and popular symbols for Chars Keyboard so it's not cluttered with all the Unicode richness. But if we'll get multiple requests for certain symbol, we'll consider adding it in the next update. Chars Extra is bundle of additional paid functions: iCloud sync, Face ID and Touch ID protection, color schemes, and exporting notes as images. 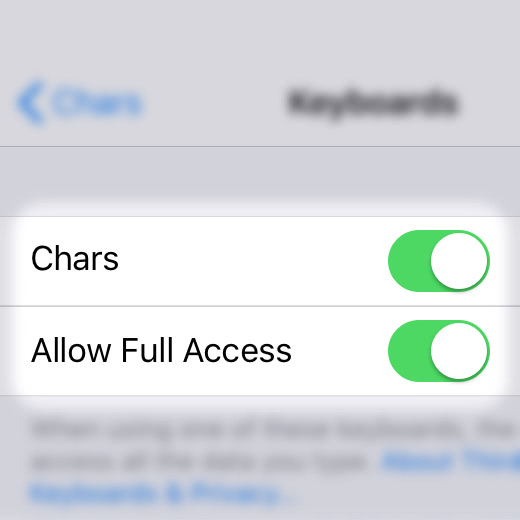 Once purchased, Chars Extra saves forever for your Apple ID account. Purchasing Chars Extra is not necessary to use the app, but it makes it more enjoyable. It also is a way to support future development of the app. I found a bug/error in Chars. What should I do? We're always trying to make Chars better. If you noticed some imperfection, please tell us. What to expect from Chars in the future? 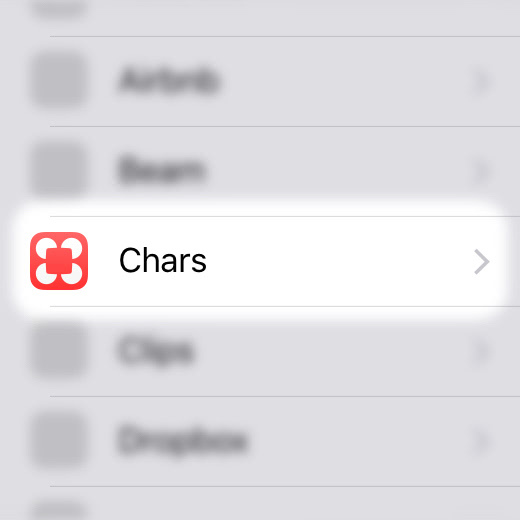 You can always join to our TestFlight beta testing to see the most recent version of Chars. Please be aware that beta version might contain bugs or sync inconsistency. Thank you for your feedback, it helps us to constantly improve Chars. Reach us at Twitter or send your question via e-mail.